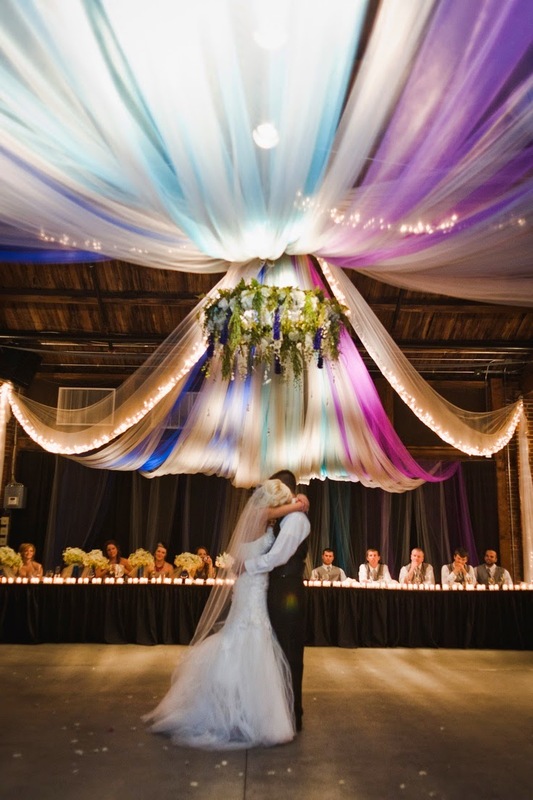 Tulle wedding decorations can turn your wedding into a gorgeous fantasy. While white is the all time favorite, decorating with other colors is becoming more popular. While flowers are the number one choice for church decoration, tulle adds something special to the day. Beautiful flowers can add a sense of solemnity, peace and freshness to the atmosphere. Decoration of the aisle using lilies or orchids gives exotic touch to the atmosphere. In addition to that, you can add greenery to the decor by using potted small plants inside the church. 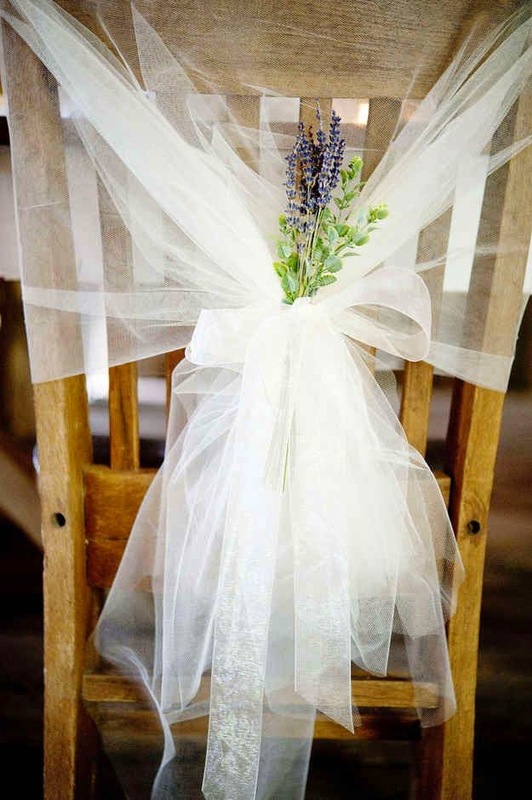 Your florist will probably offer to make pew bows for your ceremony. But you can save a little cash and make them yourself - from tulle. 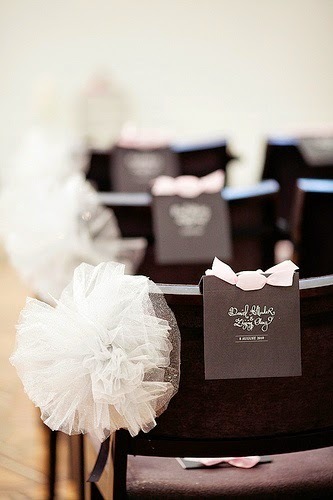 Simply tie tulle into a bow, leaving lots of extra on the end to drape down to the floor. Or, for a fancier look, use a bow maker (sold at most craft stores), or add some gold or other colored decorations. 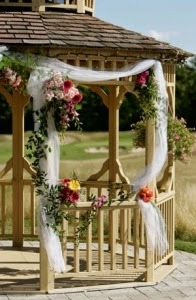 Another area where tulle wedding decorations are used is the gazebo. This is a functional, affordable item that adds a romantic and elegant touch to your wedding. 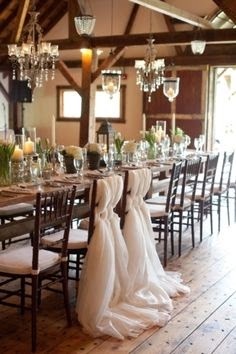 You can add personal touches to the tulle, or even use it in nontraditional ways for wedding gazebo decorating. 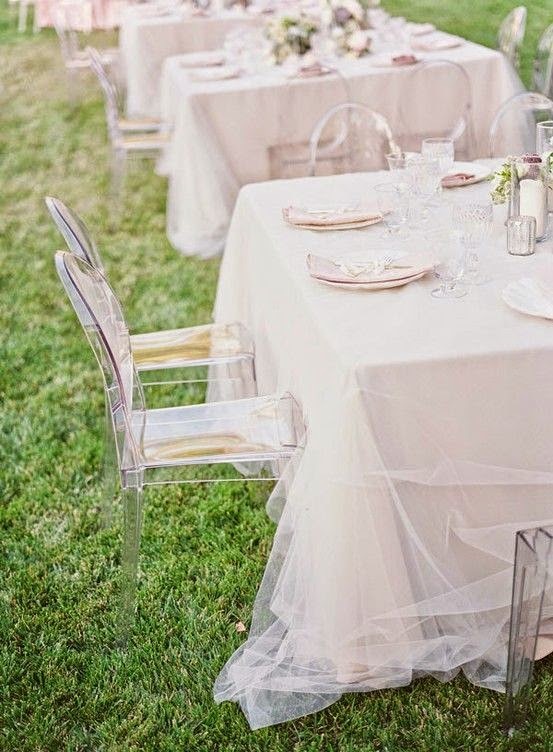 Your spring wedding decor can also be romanticized with a little tulle. 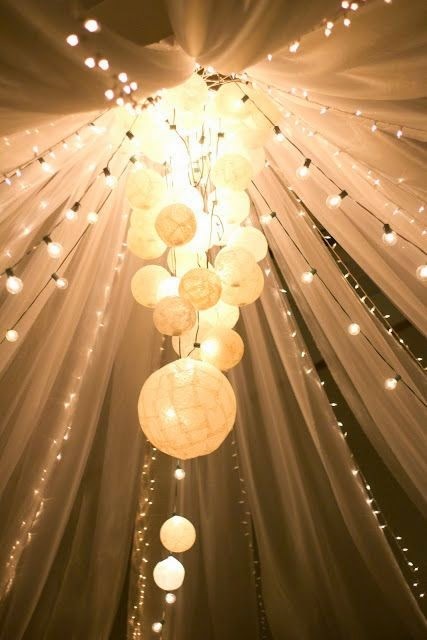 You can add some glitter to your ceremony location by wrapping your lights loosely in some tulle then interweaving the lights and tulle around communion rails, your flowers, a gazebo, doorway, or wherever you see fit. A winter wonderland fantasy can be created when using tulle wedding decorations. You can use tulle to recreate a snowy environment for a winter's eve wedding. Church wedding decorations are naturally more conventional than the decorations you would find at another venue, such as city hall or a hotel ballroom. If you have a secular setting for your wedding, you aren't limited to bows and other conventional themes. When you think outside the box, the sky's the limit. Whether at church or a hotel room, think about using tulle wedding decorations.